PT Angkasa Pura I (Persero) - AP I or widely known as "Angkasapura Airports" is a reputable state-run company, running business in commercial airport management services. Headquartered in Jakarta, Angkasapura Airports operates primarily as a commercial airport operator in the middle and eastern parts of Indonesia. Angkasapura Airports now operates 13 major commercial airports, namely Adisucipto Yogyakarta (JOG), Ahmad Yani Semarang (SRG), Adisumarmo Surakarta (SOC), Juanda Surabaya (SUB), I Gusti Ngurah Rai Bali (DPS), Lombok Praya (LOP), Sultan Aji Muhammad Sulaiman Sepinggan Balikpapan (BPN), Syamsudin Noor Banjarmasin (BDJ), Sultan Hasanuddin Makassar (UPG), El Tari Kupang (KOE), Sam Ratulangi Manado (MDC), Pattimura Ambon (AMO), Frans Kaisiepo Biak (BIK), Ngurah Rai Commercial SBU Bali. PT Angkasa Pura I (Persero) also supported by 1 strategic business unit, 5 subsidiaries and 4 associated companies; PT Angkasa Pura Hotel, PT Angkasa Pura Logistik, PT Angkasa Pura Properti, PT Angkasa Pura Suport, PT Angkasa Pura Retail, PT Gapura Angkasa, PT Jasa Marga Bali Tol, Angkasa Pura Airports Pension Funds (DAPENRA), and Yayasan Kesejahteraan Karyawan Angkasa Pura Airports (YAKKAP I). In term of financial performance, Angkasapura Airports generally recorded a good performance in 2016. According to PT Angkasa Pura I (Persero) Annual Report 2016 as cited by JobsCDC.com, Angkasapura Airports successfully recorded its total operating income of Rp 6,138.27 billion in 2016. This number is reflected an 16.92% increase from Rp 5,249.63 billion in 2013. Total net income in 2016 continue to grow by 37.72% to Rp 1,159.57 billion from Rp 841.97 billion in 2015. Bachelor Degree (S1) : maximum births 1991 and thereafter. Diploma Degree (D3) : maximum births 1993 and thereafter. Education background (minimum GPA of 3.00 out from 4.00 scale). Bachelor degree (S1) graduated from campus Universitas Indonesia and Institut Teknologi Bandung, majoring in Electro Engineerng, Industrial Engineering, Mechanical Engineering, Civil Engineering, Architectural, Informatics Engineering/Computer Science (Programmer/Networking). Bachelor degree (S1) graduated from campus Universitas Gadjah Mada and Universitas Padjajaran, majoring in Law (International Law, Civil Law, Criminal Law, Economics Law), Accounting, Management, International Relation, and Statistics. Diploma Degree (D3) graduated from campus Politeknik Negeri Jakarta and Politeknik Negeri Bandung, majoring in Civil Engineering, Electro Engineering. Have a good health and not using drugs stated by a health certificate issued by the Hospital / Doctor. Good Behavior (stated in SKCK). Have never been sentenced to imprisonment or confinement based on a court decision that already has a permanent legal force for committing a criminal offense that has to do with the position. Never dismissed with disrespect as an agency employee. Willing to be placed in all working areas of PT. Angkasa Pura I (Persero). JobsCDC.com now available on android device. Download now on Google Play here. Please be aware of recruitment fraud. The entire stage of this selection process is free of charge. 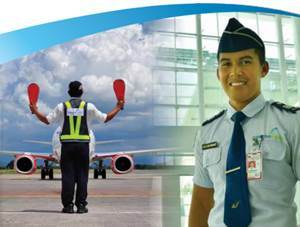 PT Angkasa Pura I (Persero) - D3, S1 Fresh Graduate Officer, Technician Angkasapura Airports February 2018 will never ask for fees or upfront payments for any purposes during the recruitment process such as transportation and accommodation.